OFFER You will get 6 Months Issue Free. 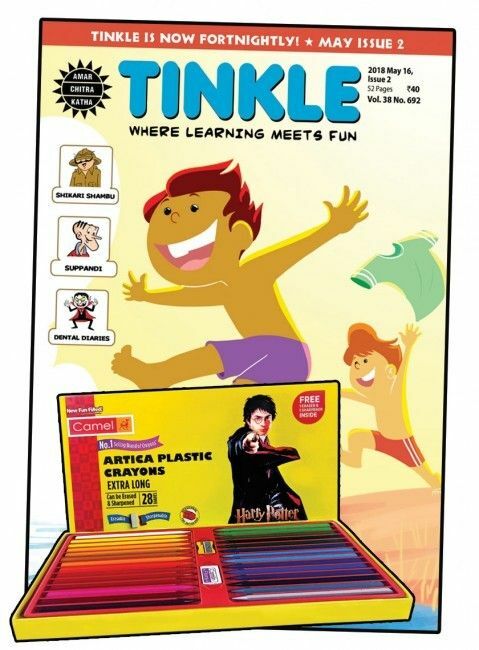 Tinkle goes fortnightly from July 2016! Now get 24 issues instead of 12! Payments for subscriptions received on or before 20th of the month will start with the forthcoming month's issue of Tinkle. 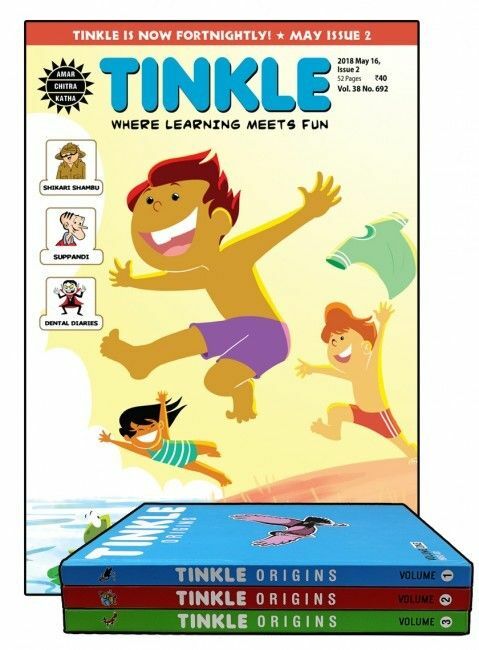 Tinkle Is A Fun-To-Read 76-Page Monthly Comic Magazine. Each Issue Contains Several Delightful Stories, Some Revolving Around Lovable Cartoon Characters That Feature Regularly In The Magazine. Every Issue Also Contains A Fascinating Science Or General Knowledge Feature, A Do-It-Yourself Craft Idea, Puzzles, Gags, A Book Review And First Hand Accounts Of Various Experiences Our Young Readers Have Had.